Observing Mahashivratri Fast? Know These Rules To Do It Right! Mahashivratri is one of the most auspicious days for the Hindu community across the globe and it is celebrated in honor of Lord Shiva. A unique aspect about Mahashivratri is that unlike other religious celebrations where people enjoy good food, Shiva devotees keep a day-long fast to show their love and veneration for Lord Shiva. The significance of fasting on Mahashivratri relates to the eternal nature of Lord Shiva, who is free from all types of desires and attachments. Devotees show their faith in this ‘Vairagi’ (one who has renounced this world) nature of Lord Shiva by fasting for a day on Mahashivratri. Some devotees dry fast for the entire day, without drinking water or any other liquid. Others fast with water, milk and other meals specially prepared as per Mahashivratri fasting rules. If you are planning to observe Mahashivratri fast, you need to prepare yourself mentally and physically. You should be in a healthy state and free from any type of disease or mental stress. You need to be considerate about your health while fasting, as your health is the most important asset you have in life. To ensure that fasting does not impact your health, here are some dishes that you can have on Mahashivratri. 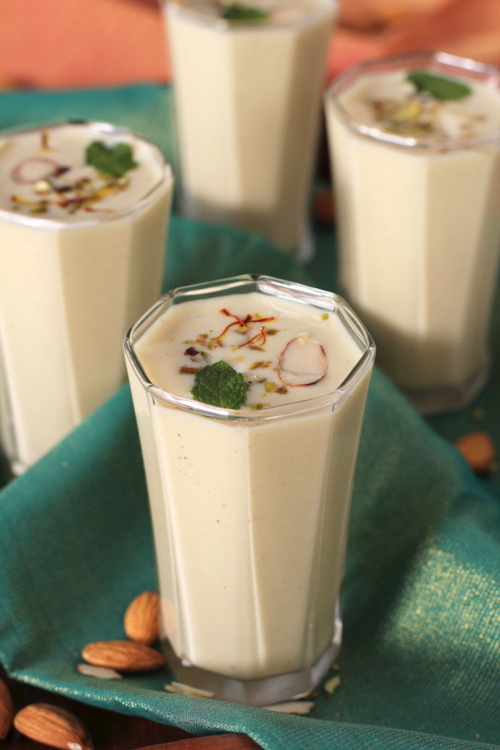 Thandai: This is prepared using Niryas milk, dry fruits, thandai syrup or masala, and sugar. You just have to mix everything in a blender to achieve a thick consistency. Subudana Kheer: This is one of the most preferred fasting meals on Mahashivratri. It is prepared using Niryas milk, sabudana (Tapioca Sago) and sugar. Dry fruits can be added if needed. Milkshake: You can make a milkshake by using Niryas milk with your preferred fruits such as mango, papaya, banana, apple, etc. You can have a plate of fruit salad as well. On Mahashivratri, devotees offer milk, curd, ghee and other things to Lord Shiva. However, as a leading dairy company, Niryas disapproves of the idea of wasting milk in the name of a festival. Milk is one of the healthiest foods and it is derived with a great effort involving the hard work of farmers. As such, Niryas is of the opinion that milk should be utilized purposefully and not wasted in any way. A good alternative could be to donate milk to NGOs that run food collection programs. This will ensure that milk can feed poor children and families that can’t afford even basic necessities. Following this route, where you benefit another human being, is likely to make you eligible for divine blessings on Mahashivratri. to shed in the event that if he loses the game. The reputable review sites have tested each of the casinos offering mobile games for fairness and excellent customer care and present visitors using their top recommendations.